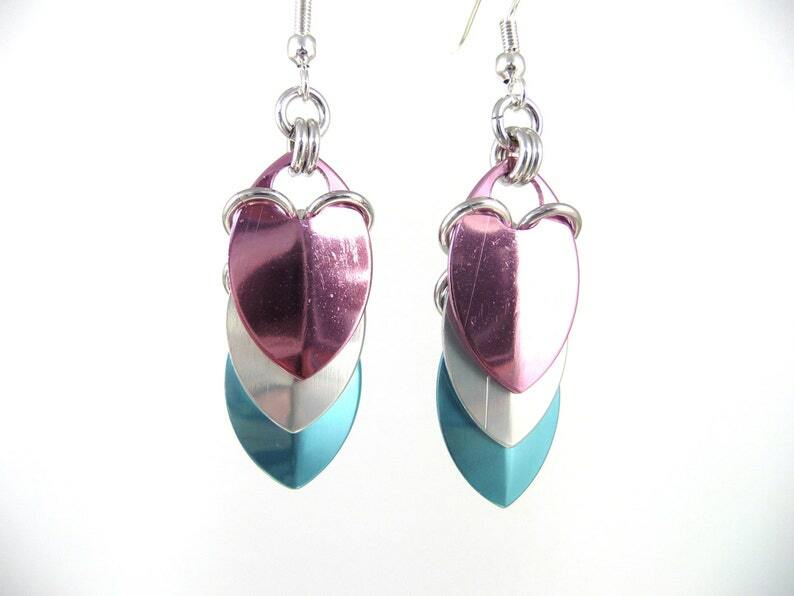 A gorgeous pair of scale earrings in the delicate pastel pallet of transgender pride: light pink, white and light blue. 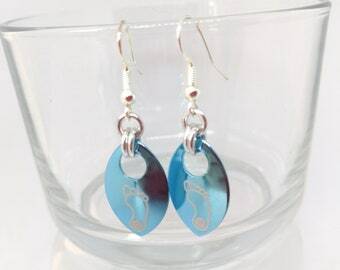 Earrings are about 2" long and made from anodized aluminum scales and rings. Anodized aluminum is lightweight, durable, does not rust or tarnish, and cleans up with soap and water (lotion-free dish soap works best). Please see Picture #4 to see how these earrings look on a head (my head). All earring hooks are 100% Nickel free. I am happy to upgrade hooks to Sterling Silver, 14K Gold Fill, Niobium or Titanium for those with metal sensitivities, as these metals are more hypoallergenic, but those metals cost a bit more and will add to the price. You will be asked to select an earring hook upon checkout and the price will adjust accordingly.